(9:15 a.m. EST) -- By 2020, Carnival cruisers will be able to cruise to Cuba from New York and Norfolk, Virginia, for the first time ever. Beginning May 21, 2020, Carnival Sunrise will sail the line's first voyages to Cuba from New York City, spanning nine nights and including an overnight call in Havana with stops in Half Moon Cay and Nassau. Carnival Radiance also will offer nine-night Cuba cruises from New York in June 2020. 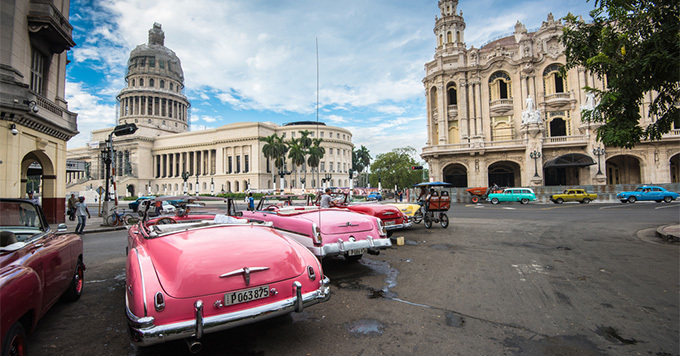 A weeklong Cuba cruise will be offered from Norfolk on Carnival Radiance, in late October 2020. In addition to Cuba, Carnival Sunrise will sail a series of eight-night Caribbean and Bahamas cruises from New York, which will culminate in a 12-night partial Panama Canal transit to Fort Lauderdale departing on October 19, 2020 as part of the line's Carnival Journeys series. It also will offer eight "long weekend" four-night cruises to Bermuda (Thursday to Monday) in 2020, which include a full day on the island of Bermuda. Norfolk officially welcomes Carnival back with a season of sailings in 2019, but does so after no ships sailed from the port in 2018. Antorcha told Cruise Critic that Norfolk is a great option as Carnival moves ships up and down the East Coast, adding: "As seasonal New York deployment grows, Norfolk is going to benefit. "Part of our strategy is to put ships closer to guests, so people can drive. We're family-focused, so if you're going with cousins, grandma and grandpa -- you'll need lots of [plane] tickets. If we can make it easier for a family vacation, we're going to do that."